What exactly is Akira about and why is it important? Is this an opportunity to plug my discussion of the manga vs. the film and the review group I see? It is?! Well, don't mind if I do. Anyway, that gets more to the why is it important bit than the question of what Akira is about. It is, at the end of the day, about conflict between generational values (specifically Japanese teenagers and young adults in the 1980s and their parents/grandparents). Where the previous generations placed tradition and social cohesion as premiums the youth were more strongly valuing individualism and change. This conflict is stripped down to raw, simplistic violence between factions representing either side of the argument with their stereotyped characteristics ramped up to caricature level exaggerations. The Great Tokyo Empire isn't just a group of young thugs, they're amoral violent psychopaths who care nothing for anyone but themselves and are willing to denounce and destroy Japan itself in the name of their own independence. In the film the Great Tokyo Empire is essentially compressed entirely into Tetsuo, which as I explain in the linked post above really takes the wind out of the sails of the caricature. The faction representing the parents/grandparents of these youth is Lady Miyako's, which are rigid and stubbornly stick to their rules and traditions while still being generally "good guys" willing to lend a hand to anyone who needs it out of a genuine philanthropic urge. There's also the main protagonists to consider, which walk the line between these two major factions and serve as the audience's tour guides. 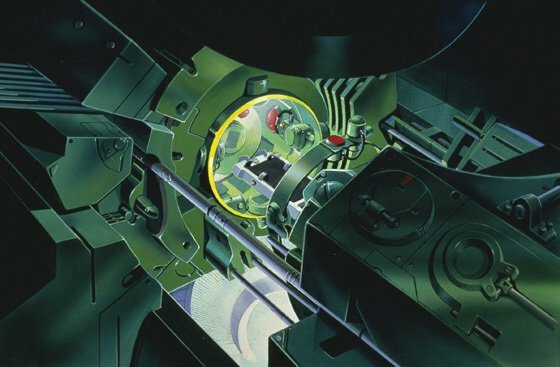 Some minor factions which are there first and foremost to provide a force for building up the climax's drama, and which may also be there to take a swipe at foreigners meddling in affairs considered to be Japan's own business, are the US and the USSR (specifically the carrier fleet, troops, and scientists they send to deal with Akira). I've tried to keep things as spoiler-free as possible and have excluded some other players for the sake of keeping things straightforward (this is a dense story), but it's not really possible to explain what an anime is about without providing some information on the major and minor players. It's about political and social issues. It is about humanity's abusiveness. It is psychological. It is shocking. Otomo really made a lot of people in Japan angry through how he directed the film. It wasn't true to his own manga. Nonetheless, the less informed outside of Japan who seen Akira were impressed. It was important for representing a great step forward in anime. It's too bad that we don't really see stuff like that anymore. Starblazers, Robotech, Battle of the Planets, and Voltron were all fully westernized and converted before they hit the US. Akira was subtitled and exotic. Bingo. 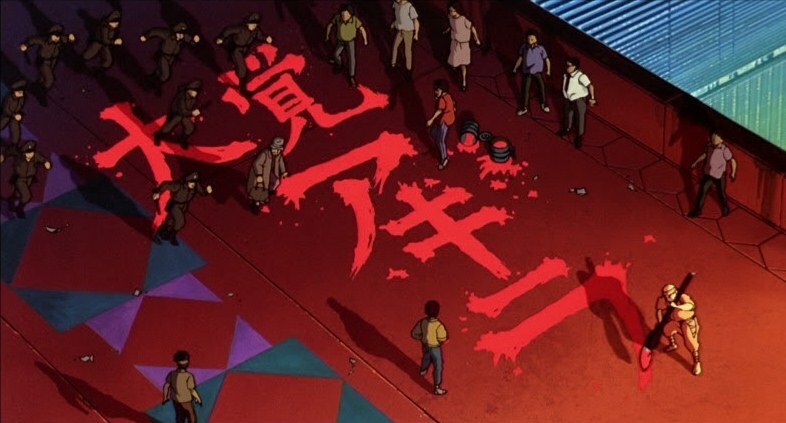 Akira is possibly the first anime to hit the U.S. and be recognized as anime. The boom had started gathering steam in the early '80s, thanks to the aforementioned shows (and Japan-U.S. hybrids like Transformers), but Akira put it on the map in 1988 and started the big build-up to the explosion in the late '90s. Meh I never liked Akira. Vampire Hunter D and Lensman were my first introductions to Japanese animation on the Scifi channel. Akira was shown later. It looked cool but as far as storytelling and substance goes it's not that good. I can appreciate what it did by helping to make anime popular in the west, but as a film I was left disappointed. Ooog... these comments make my head hurt. "Too deep for me?" There's far deeper titles. First anime for westerners? I'll give you that. Overhyped? A little. We'll get into that in a second. Akira is about a couple of teenagers in a motorcycle gang who inadvertently get mixed up with a governmental experiment that involves a small number of kids that have developed psychic powers, of which the titular character, Akira, was also a part of, and had, several years prior to the movie, gone out of control. He still has influence and to some degree is a character within the film, though he acts indirectly for the most part. He is responsible for the initial destruction of Tokyo that the film starts out with. The pair of teenagers meet up with a terrorist/activist woman, and, Tetsuo, due to his contact with the experiment, has begun to develop psychic abilities at an accelerated rate, and is consistently being hunted by the government, and as a person of interest to the government, by this terrorist woman as well. The changes in tetsuo are both painful and his rate of change is uncontrollable, causing him to lash out, and his favorite thing to do now seems to be railing against his best friend, Kaneda, (who gets the girl), whom Tetsuo has always suffered an inferiority complex towards. He does this by exercising his new found powers, but at the same time, loses control of them more and more so. At the end of the film, Tetsuo theoretically has evolved his intelligence to the point of being, essentially, a "new universe" and the events of Akira's destruction are repeated, though, Akira himself comes to "save" Tetsuo, and Tetsuo retains enough control over himself to spare Kaneda (and inadvertently, the rest of the surviving cast). What differentiated Akira from other films of the time, and other films of the same genre and/or themes was that it was more approachable than others. Characters were more fleshed out, and immediately relatable, whereas, say, Naussicaa of the Valley of the Wind, the characters were flat, and did not really develop in their film (which is one reasons i dislike most Miyazaki films). The film also mixed a lot of faster paced action, grand scale visuals, (remember, back then EVERYTHING was done by hand), and in general, told a story from beginning to end. Not many anime titles did that then. (it was also longer than the majority of 70 minute films made then, which in turn, was endemic of the 80's as well). It also got theatrical release (if I remember correctly), and, despite what some may say, was NOT the first animated film that came out that dealt with adult themes. There were many others as well, some even done in the US, including Fire and Ice (due for possibly a live action remake), and The Hobbit (yup, there was an animated film long ago). It was just the BEST of its time. The story and the animation is also of incredible quality. Unlike many of the crap titles back then, It STILL holds up to watchability and relevancy today. It's on the same level as Ghost in the Shell, (although GITS is actually perhaps more philosophical and "too deep for me" as the OP says). In fact, the whole "cell structures mirroring ecosystems, mirroring the cosmos" thing is pretty prevalent now, as well as the debate of nature's revenge on humanity, and the idea of psychic "powers" via evolution as a trope (and Akira STILL nailed that last one in a completely original way that has not been used since). This isn't to say it's the best anime every produced, but that it is one of the best of its time and relevant to understanding anime in general, in addition to being a generation's(or even two generation's), introduction to the world of anime. The story was indeed too short, (but it did a damned good job of trying to contain a story in only 110 minutes, when as I said, most movie of the time were 70 minutes), and the dialog definitely could have been improved upon. I've always thought that Akira was only "important" to western fans... the way I see it Akira is similar to Dragon Ball Z in the sense that a lot of western fans love it because it is one of the first anime movies that got introduced and was well received in the west. Actually akira did amazingly well in japanese box offices, it had the same budget as a hollywood movie at the time. Also keep in mind that AKira is based on a manga. When Otomo was given the chance to adapt his series into a movie it was only halfway done and the manga actually finished sometime after the release of the film. So Otomo not only had to tell a complete story out of an unfinished story, he had to take a manga that had already been running for over 5 years and turn it into one contained film. Akira is an amazing movie because not only did Otomo achieve this, its visually some of the best animation you will ever see, and the story is really well done. Lastly, it gets you baited to go and read that manga which is much better. Classic anime being called overrated. it's like "Maaan, Star Wars, Lord of the Rings and The Godfather are SOO overrated -_-"
I enjoyed it, but it is definitely lacking (basically just going back to the anime vs manga thing); you have this huge canvas but they only used a small portion of it. I find that Akira has become a bit irrelevant to the newer generations of anime fans now a days; but that happens to a lot of other things as well. Forum Clean up. Old 2015 threads Locked.